Recently after seeing a card that my lovely friend Debbi Taylor created I was inspired to just sit at my desk and have a play. Here is a card that I created and I hope that you like it! 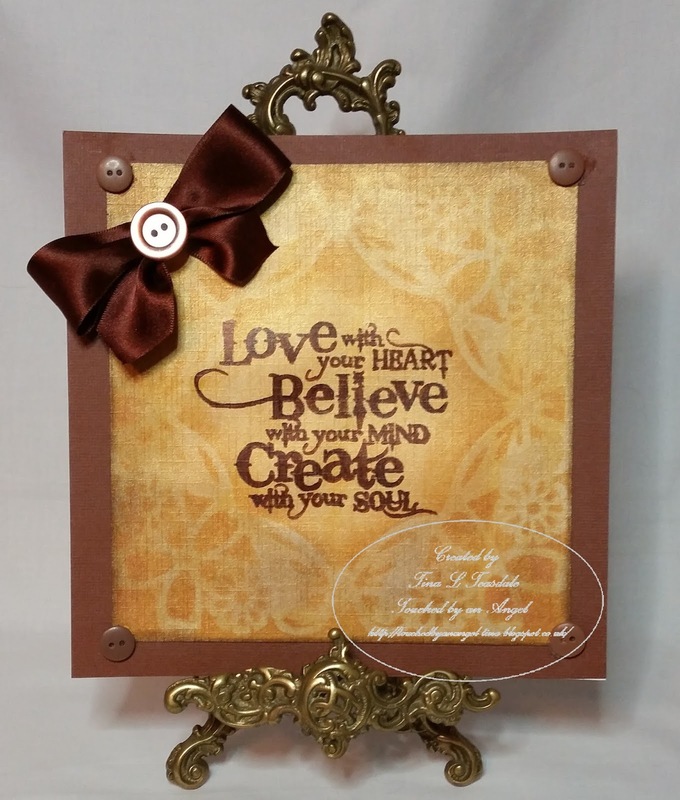 I took an 8x8 card blank and covered it with brown textured card. Next I took some pearly textured card cut it to size and popped a butterfly mask from Mica on it. ( I atatched the mask with masking tape to keep it in place).I inked the whole thing with Ink from Stampin Up and used darker around the edges. I decided to use a stamp as the focal point after being inspired by Debbi and it is from the Love to create set by Visible Image. To finish I added buttons to the corners and made a bow from some lovely wide chocolate satin ribbon. I really enjoyed playing and creating this card so a big thank you to Debbi for the inspiration. What a lovely sentiment to feature on a card. I love the color pattern and the papers.